My Stella d’Oro daylilies have put on a nice show this year, and so far have not been eaten by visiting deer. Now that other, later lilies have sent up bud stalks and are about to bloom, I have been spraying them with a “home brew” deer repellent that Rosemary Friend shared with the Montgomery County Master Gardener Class of 2008. Since learning of Rosemary’s rather smelly concoction, I’ve used it on my daylilies with apparent success — only a few nibbles here and there, not the total wipe out of lily buds just as they were about to open that I experienced in the past. (I became so frustrated with providing a free lunch for the deer that at one point I dug up some of my lilies and gave them to friends with a large dog — and no deer problem). Combine egg and milk in blender. Put in container and set outside in sun for one week. Combine minced garlic with 1 gallon water. Set aside. Rosemary says she also usually adds “several good shakes” of some kind of inexpensive hot sauce to half the batch. “It seems that changing the recipe keeps the deer from getting used to the repellent and God forbid they develop a taste for it!” she says. The hot sauce also seems to keep the milk from clotting again in the spray bottle after it has been strained, she says. One caution: the brew may sometimes bleach the color of lily blooms which the Liquid Fence will do as well at times. Rosemary says her home brew also seems to work for rabbits. ” For some reason the rabbits have decided my yard is a salad bar this year. Now I’m spraying high and low!” she says. 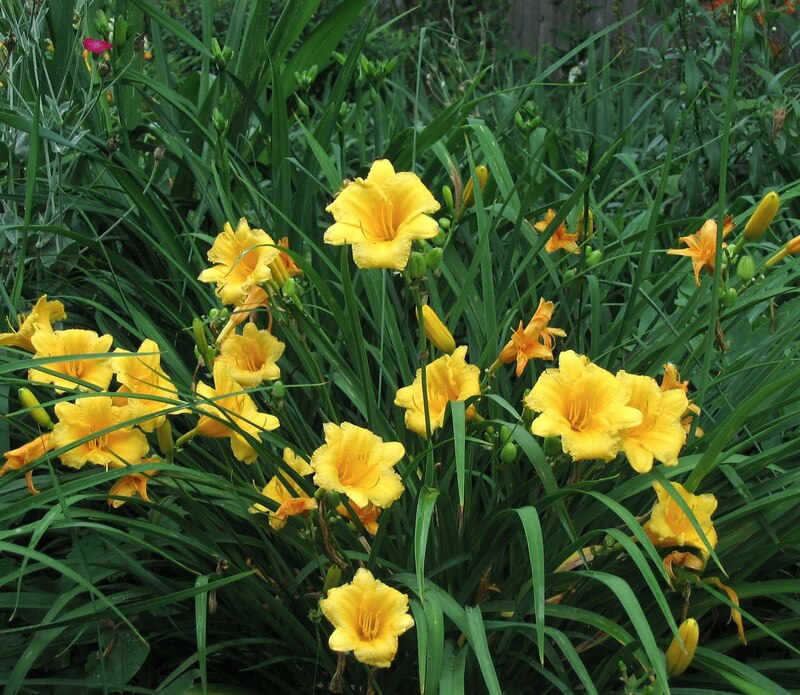 The work involved in preparing this concoction, and its rather odoriferous smell, may be more than some gardeners are willing to undertake, but I have found it works in deterring deer from grazing through my lilies. And I’ve used it as well on other flowers as well as vegetables, like Swiss chard, that deer seem to like.